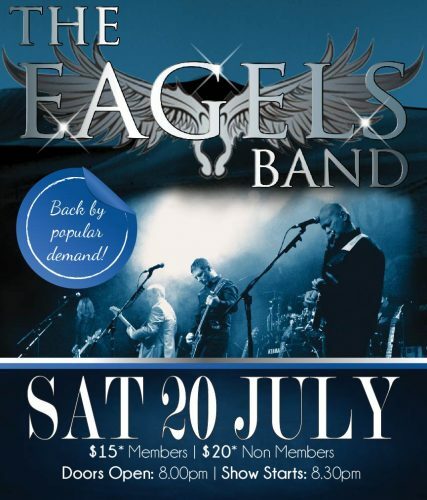 A stunningly accurate tribute to Southern California’s most famous musical group, The Eagles! Error: Error validating access token: Session has expired on Saturday, 02-Feb-19 17:58:11 PST. The current time is Saturday, 20-Apr-19 03:11:25 PDT. © 2019 RSL Club Southport. All Rights Reserved.